As for who Raymond Cook is, well, I’m a 65-year-old disabled veteran. In 1972, at the age of 18, I enlisted in the marine Corp. My plan was to retire. But fate has a way of changing our destiny. In 1974 on my way back to my base, a drunk driver hit me head-on going 80, and my life was forever changed. Those were my darkest days. Eventually in 1983 I enrolled in college and took a creative writing class as an elective. At that point I had no interest at all in becoming a writer or author. In truth, how many people have taken a writing course in high school or college and believed one day they would write a book? 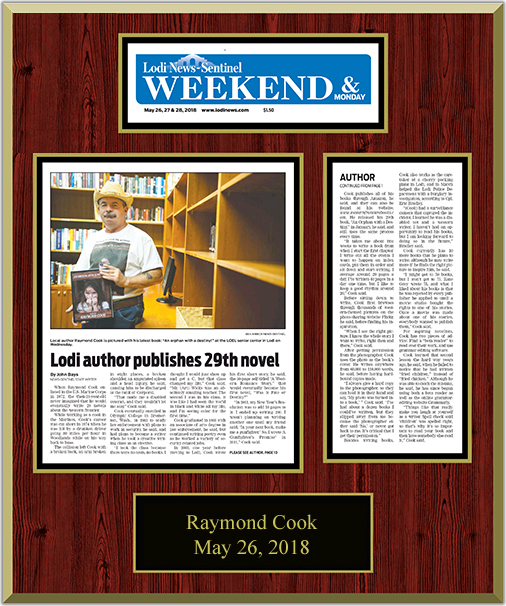 On May 26, 2018, The Lodi news Sentinel featured an article about me, and my newest novel, An Orphan With A Destiny on the front page of the newspaper. This is my 8th year writing western frontier novels. An author’s goal is to not just ‘Entertain a reader’ but to try to touch the reader’s emotions too. After all, that’s the entire purpose of reading a book, to enjoy what you’ve read. I feel the world of self-publishing is rapidly changing, and I hope it will always be in a good way for us self-published/indie authors. 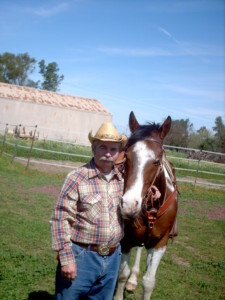 Since my first eBook in 2011, I’ve written 28 more western frontier eBooks totaling 7,000 pages. If someone had told me in 2011, I would write this many books, I wouldn’t have believed them. I hope An Orphan With A Destiny! will become your favorite. If you would like to send me an e-mail, I’ll be happy to answer any questions you may have.